Those who follow Bollywood movies are accustomed to the character ‘Iqbal,’ which follows the story of a mute and deaf, rookie Indian bowler’s attempt to achieve recognition, and be one of the prestigious XI, that represent the country in cricket. The character, which goes by the same name of Iqbal, was portrayed by none other than Shreyas Talpade, who is an Indian actor. Shreyas is a Mumbaikar, who pursued his schooling from Shree Ram Welfare Society. The inception of his career began with Marathi television serials, and numerous stage plays across the state. Shreyas was famous for his role in the Marathi soap opera, Aabhal Maaya. In the year 1997, he pocketed a crucial role as a child actor in the Zee TV produced television serial “ Woh.” Talpade played the role of a young Ashutosh Gowarikar. He is also ostentatious for his roles in the mini soap operas produced by Adhikari Brothers, and his role as “ Tejas,” in the Damini. The character of Tejas, transformed Talpade, into a well-known Marathi household name. Shreyas began his movie venture with cameos in Nidaan, Raghu More, and Aankhen. He pocketed a major role in the Marathi horror-comedy, “Pachadlela.” The movie catapulted Talpade’s career, and he managed to attract the attention of various directors in the Marathi film industry. In 2005, he auditioned for the role of a deaf and mute, young cricket aspirant in Nagesh Kukunoor’s film titled “Iqbal.” Talpade reportedly stated that he honestly didn’t expect to grab the lead role in Kukunoor’s venture. The movie was a huge hit at the box office, and Shreyas was also nominated for a Filmfare Award in the Debut category. As a result of this Bollywood launch pad, Talpade, later on, starred in Hindi movies such as Apna Sapna Money Money, Dor, Dil Dosti Etc, Aggar, Golmaal Returns, Om Shanti Om, Bombay to Bangkok, Welcome to Sajjanpur, just to name a few. He was twice nominated for Filmfare Awards in the category of Best Supporting Actor, for Om Shanti Om and Golmaal returns. Talpade received accreditation in the form of a Stardust Award for Breakthrough Performance in Om Shanti Om. He also acted in movies such as Paying Guest, Aagey Se Right, Hum Tum Shabana, Joker, Teen Thay Bhai, Help, Will You Marry Me, Kamaal Dhamaal Malamaal, Dostana 2, and the Marathi film “Baji.” Talpade met his wife Deepti, when the former attended her college function as a celebrity guest, followed by which the two, tied the knot after getting to know each other well in a few months. 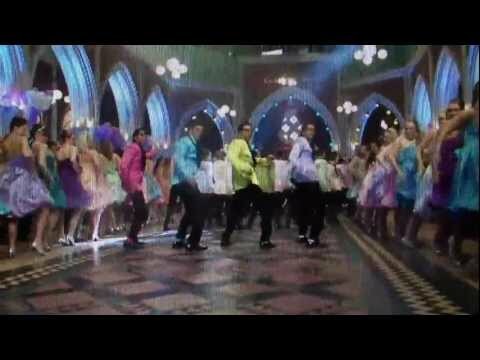 HOUSEFULL 2 LEAKED VIDEO!!! PAPA TOH BAND BAJAYE!! !